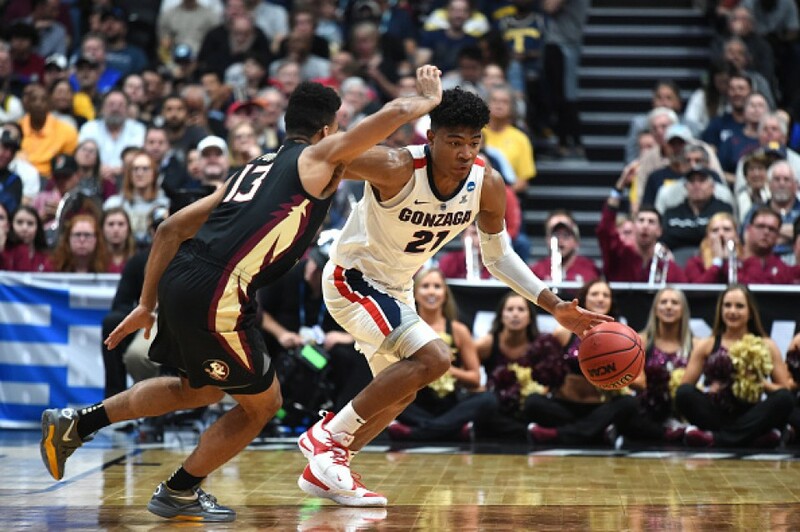 Gonzaga University's Japanese star forward Rui Hachimura declared for the NBA draft on Monday, to pursue a professional career in the world's premier basketball league. "The last three years at Gonzaga have been a dream come true, and now I'd like to pursue my next dream of playing in the NBA," Hachimura said in a statement released by his university. The 21-year-old, born in Toyama Prefecture to a Japanese mother and Beninese father, is considered a top prospect in this year's NBA draft on June 20. Hachimura averaged 19.7 points and 6.5 rebounds per game this season, shooting 59.1 percent from the field, and helped the No.1-ranked Gonzaga reach the Elite 8 at the NCAA tournament before the team was knocked out by Texas Tech. "I would like to thank everybody at Gonzaga University, especially the coach and the staff. Also, I would like to thank my teammates with whom I have spent time like brothers, playing every game," he said in a tweet. "I would like to thank all the fans of Gonzaga University, everybody at Spokane for all the love and support over the last three years." "Lastly, I would like to thank all the fans in Japan for always cheering. Thanks to your support, I am where I am right now. In the future, please stay in my corner." The 2.03-meter junior was recently named the winner of the Julius Erving Small Forward of the Year Award. He was the 2019 West Coast Conference Player of the Year and the United States Basketball Writers Association District IX Player of the Year. If he is selected and signs with one of the 30 teams, Hachimura will become the first Japanese player to be drafted into, and play in, the NBA. Yasutaka Okayama was selected by the Golden State Warriors in 1981 but never signed with the team.